Within the industry itself, the concerns of customer service improvements, the aging workforce and enabling a more responsive field workforce are driving many utilities to re-evaluate key business operations, processes and the technology that supports them. Core to many of these initiatives and achieving new levels of service and field worker productivity is ensuring seamless access to critical asset and customer data. Research has confirmed a strong correlation between a highly productive mobile workforce and ensuring utility networks deliver continuous service and meet customer service standards. As a result, empowering a mobile workforce is now a key concern for many utilities. As both the workforce and utility infrastructures age, many utilities are considering wireless technologies to help manage information, assets and workers. Connecting your mobile workforce with the information and human resources they require delivers many strategic benefits to utilities. These can be grouped into three main areas - reduced operating costs, improved asset life and increased customer satisfaction. 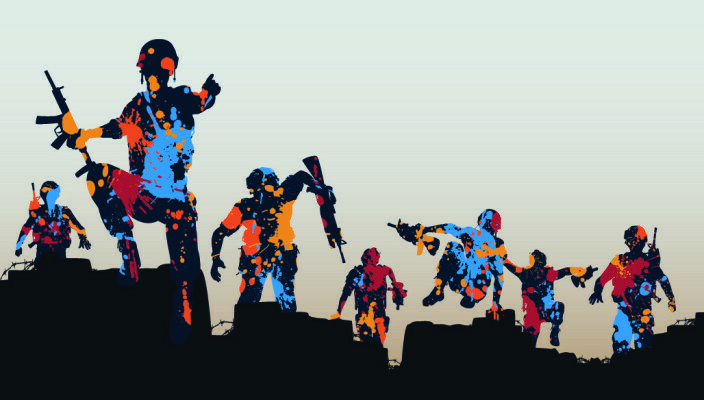 At the tactical level these benefits are seen in metrics such as increased on-time responses, greater “wrench time”, and more job completions. Travel to the next job is less which not only saves time, but also reduces vehicle emissions, and cuts down missed appointments. The financial savings of this increased productivity are seen in decreased crew hours and overheads. Further improvements to the bottom line can be realised by automating the work order process to help reduce operating costs. Additional benefits include enabling seamless, real time and interoperable communications with field workers, centralised support staff, utility management and first responders in emergency situations. Management is improved by incorporating training, work administration, and performance monitoring. And by improving collaboration and enhancing knowledge transfer, utilities can begin to address the challenge of an aging workforce. Advanced analytics draw on powerful analysis platforms to present data and complex interrelationships in a manner designed for the business and operational needs of different types of utility employees. From the field, to the asset manager, to the board room, asset analytics provide critical intelligence to ensure that appropriate decisions can be made in real time. 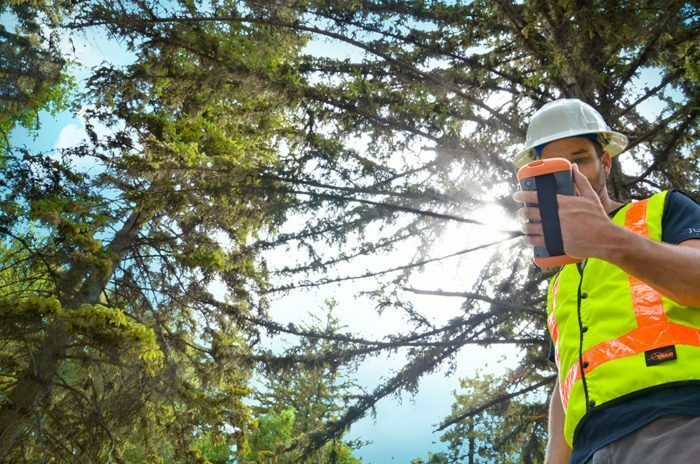 Modern mobile versions of asset analytics provide utility field crews with a thorough understanding of an asset’s inspection and maintenance history and help field crews better understand the importance of the accuracy of data they are capturing. Customer service in the utility sector has been lagging and much of this has to do with how customers engage with their local utilities. While many experienced field technicians generally know their territory and the likely duration of different tasks, the same does not hold for less experienced workers and frequently, schedules developed by less experienced workers, can result in productivity decreases. Mobile workforce applications that include real-time scheduling prevent this productivity drop-off. As the crew finishes its emergency tasks, real-time schedulers immediately produce new schedules that start from the current location and follow rules for task priority and drive time. Experienced workers carry in their heads the correct safety techniques and job structure. Mobile workforce software incorporates that knowledge and makes it accessible via tools like checklists and context sensitive help. It ensures that less experienced crews meet utilities' safety and compliance guidelines. As a result, mobile workforce management software can standardise tasks and guide newer employees through each step, decreasing the time it takes to become productive. These applications also enable better and more accessible asset records, improved documentation, and integration with video and image management solutions to provide remote support capabilities. Integration standards also enable efficient cross-departmental business processes. A variety of mobile form factors are being used to support field workers in the utility sector, and tablets represent an increasingly viable choice. The tablet provides a strong balance of a highly portable device with sufficient display real estate to support the graphics rich applications common in the utility sector. As a result of these benefits, according to research by VDC, over six in ten utilities are either currently using tablet PCs or are evaluating tablets for use among their field workers. While much of the attention directed towards tablets has been for consumer-oriented devices, consumer devices have limitations when it comes to enterprise-use cases. The challenges end users express with consumer tablets in the enterprise span everything from core device functionality to management of these devices by enterprise IT departments and their security limitations. The ability to seamlessly interact with backend systems and integrate with legacy applications including support for capabilities such as rapid updating also rank highly in this list of concerns. Durable, yet lightweight design. Failure rates are a critical concern as they can substantially disrupt workflows. Devices designed to withstand inclement conditions and the potential for occasional drops are ideal. Another key requirement is the ability to interface with the display with wet hands or in wet conditions. Application suitability. Many back-end utility applications are designed to operate in a Windows environment. Leveraging these platform investments and ensuring forward compatibility is critical for many utilities. Input/output configuration options. Mobile workforce management applications require a variety of input/output configuration options ranging from signature capture, bar code, GPS, image and video capture, multi-touch interface and magnetic stripe readers. Embedded wireless functionality. 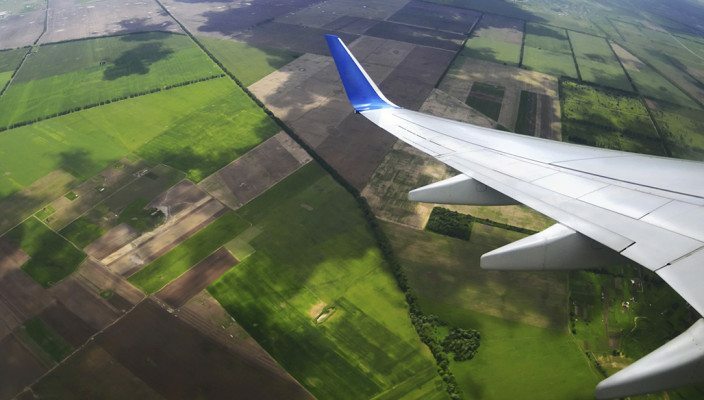 With more data moving to the cloud, a seamless wireless network connection, carrier (3G/4G) or Wi-Fi is critical. Based on these demands, and the driving force of customer service improvements, an aging workforce and a need to reduce operational cost, the tablet PC is set to become a stable fixture across the utility sector, especially out in the field and on the front line of service. 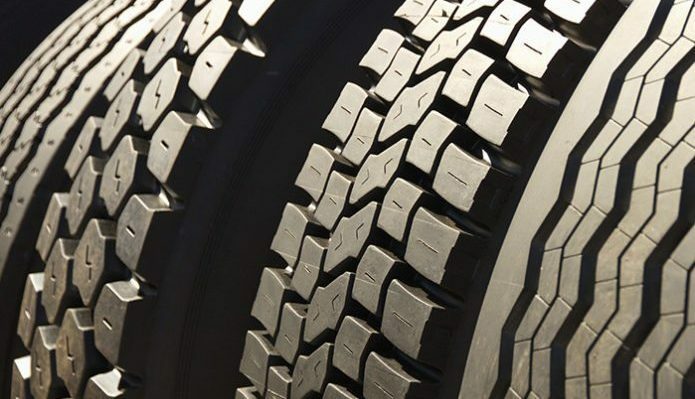 Motion Computing, recently announced that JF Tire Service, a leading tyre repair service provider in the Greater Toronto Area , is saving money and improving customer satisfaction with a mobile work order processing solution from Motion and KMP Designs. Motion’s F5t Rugged Tablets run KMP Designs Work Order Automation Software to centralise scheduling and dispatching, reduce documentation and tracking time for field technicians, and speed invoicing. Before the mobile solution was in place, JF Tire Service utilised an extensive paper-based work order system. As the company grew, so did the amount of paper. JF Tire Service determined it was losing $20,000-30,000 per year in revenue due to lost paperwork. In addition, invoicing took 4-6 weeks from the time of service, technicians didn’t have any access to unit histories and a lot of field time was spent manually documenting work. Now with Motion rugged tablets easily running KMP Designs software and two-way data synchronisation, a formalised information flow is in place. Work orders captured in the field are automatically synchronised to the central SQL Server database along with the customer’s electronic signature. The ability to capture data electronically and synchronise throughout the day has reduced invoicing times from 6 weeks to less than a day from the time of service. Productivity has improved due to streamlined dispatching and the costs associated with manual data entry, transcription errors, and chasing paper, have been eliminated. The use of powerful mobile data capture devices and software can make a huge difference to delivery companies and their customers, particularly if the devices offer facilities such as image and signature capture. These can be used to streamline proof of delivery operations. Leading parcels carrier, XDP,has installed a large number of Motorola devices sourced by Spirit Data Capture Limited, as well as specialist software developed by Spirit. These have already brought benefits of increased accuracy, time and cost savings, and higher customer satisfaction levels. XDP was formed in 1995 and is the largest privately owned parcels carrier in the UK. It has a network of franchises throughout the UK and Southern Ireland, comprising 80 depots. The company’s IT department provides 24x7 support to all depots and customers, which includes the provision of ‘out of hours’ telephone / remote support. Over the past three years, XDP has developed and implemented a web-based system (XSYS) for its customers, depots and Head Office. This system now covers all aspects of the company’s day-to-day business operations, providing real-time, centralised information to all levels. Some time ago, the IT department conducted a search for suitable hardware to streamline its operations. It contacted independent specialist Spirit Data Capture Limited, which sources, installs and supports both hardware and software for mobile enterprise solutions. In the early stages, Spirit recommended the MC70 rugged PDA from Symbol. After Symbol was acquired by Motorola,XDP also bought over 200 MC55 rugged PDAs from Spirit. To add to these, XDP is now deploying the Motorola MC65 rugged PDA. The M65 is the most rugged Enterprise Digital Assistant currently available. It enables mobile workers to have instant access to applications and information from the office. It also enables them to capture and process almost any kind of data whilst in the field, including photos and signatures. It is therefore ideal for delivery companies that need proof of delivery. Spirit also offered XDP a software solution that complemented the hardware and integrated with the company’s own system. This was particularly useful, as XDP had experienced a number of problems with its existing software, which connected the mobile devices with its back-end system. The devices are used for barcode scanning within the depots to confirm the receipt of freight early in the morning and then later in the day when the drivers collect from local customers. The Motorola units are also used to capture an image for proof of delivery, which is made available to all parties through XSYS. Chris continues: “In the early stages of implementation, the devices were used solely inside a depot, with drivers capturing the proof of delivery information as they returned each afternoon. Over time, we’ve acquired more devices and issued them to the drivers, who now perform the same operation during their deliveries. He adds: “Customers can now get near-time tracking information, particularly the proof of delivery images, which used to take up to 48hrs from delivery. The drivers have also received some benefits, because when they return to the depot they don’t have to enter all of their proofs of delivery onto a computer - they now capture them as they progress through their route during the day. FSN: What was the first piece of technology that made a huge impression on you? ID: Probably the first piece of technology, aside from the ubiquitous mobile phone or laptop that made an impression on me, was a touch screen device made by one of my previous employers that combined the Palm Pilot with a barcode scanner, essentially the pre-cursor to the rugged PDA that we know today. I used to have it synchronised with my email, diary and address book on my PC, but as part of my job as a pre-sales consultant I could run Field Service or Retail supply chain ‘Apps’, although I guess they weren’t known as ‘Apps’ in those days. My wife-to-be and I were in the wedding list service department of a well-known department store. I’ll never forget the contrasting looks I got from my wife and the sales assistant as we were handed such a device and I was asked if I knew how to work it. At which point, with a cheesy grin I got my device out of my pocket. Mine happened to be ‘marketing’ issue version that was made from clear plastic rather than the industrial grey, so it looked a bit flash too. My fiancé was sighing in despair at my geekyness and the sales assistant was astonished that I knew how to use it, let alone owned one! FSN: Do you think that the consumerisation of mobile devices has led to a major shift in the design of field service hardware? ID: Undoubtedly there is far greater awareness of options such as tablets due to the consumer units now available - especially in businesses where there was a reliance on handhelds or laptops in the field. Likewise, from a design perspective there is an increased demand for usability and the goal is to deliver a consumer grade experience whilst out in the field - a serious point given the potential increase in productivity. FSN: What are your thoughts on the BYOD trend in field service organisations – do you see this as a major threat to your business.? ID: BYOD in field service will likely hit a serious issue - consumer devices are simply not able to take the knocks that happen every day out in the field. This then causes lost productivity, employee dissatisfaction and of course, presents the IT department with a host of OS’s to support. Field service is one of the key industries where it will make far more sense to issue standardized pieces of equipment with training on how they should be handled to maximise the ROI. FSN: What is the most exciting/unusual application of ruggedised devices you have seen? 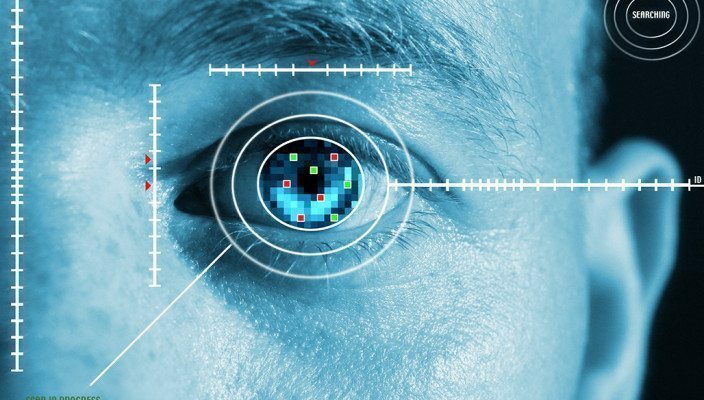 ID: In terms of demands on us as a supplier of the actual tablets, the use of tablets for field based drug testing by Cambridge Cognition sticks out. Likewise the use of the tablets for live audio mixing at concerts or remote controlling drone aircraft for surveys are all far removed from the usual applications associated with ruggedised devices. FSN: With the rise in computational power of tablet devices do you think we are seeing the final days of the laptop? ID: Though the increases in computing power do play a role, I think the greater factor that is leading to drops in laptop sales is far more simple - tablets are easier to use and a lot more intuitive. They correspond much more to the mobile phones that we all own and as such people are very in tune with how to work a tablet - even down to the software available for them. We are definitely seeing a swing away from rugged laptops towards rugged tablets for field service applications. FSN: What is the biggest trend in devices that you are seeing come to the market currently? ID: Right now the top demands are usually around usability features - improvements in input, display and battery life are all helping the multi-use capability for organisations and users. Rugged Tablet PCs combine the performance of a laptop with the mobility of a rugged PDA – reducing the number of devices a user needs to carry and the IT Department’s number of devices and operating systems they need to support. Aside from this, the regular demands are actually about enhancing the workflow by mobilizing the software and apps as opposed to just the hardware. FSN: What do you think the next big technological advancement in mobile computing will be? ID: That is the exciting thing about technology! It is constantly evolving, the next great thing always around the corner. Trends we’ve seen include more intuitive, more intelligent interacting with the mobile device such as voice and touch input. 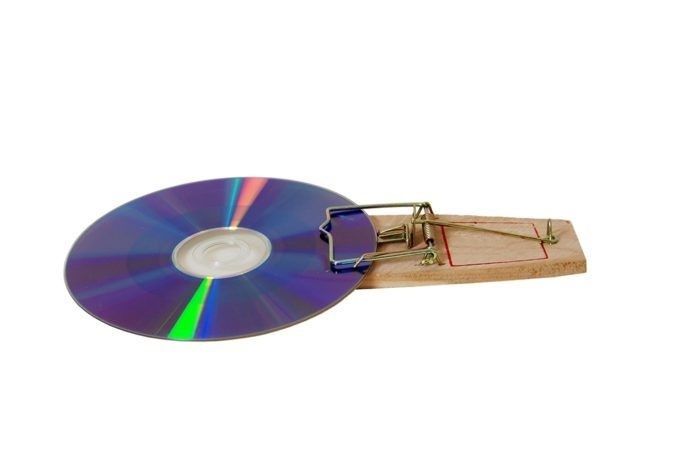 There is obviously a great deal of competition for improvements to operating systems and another area we are seeing big developments in is around increased security of data. The idea of technology is to simplify lives/work, not make them more complex so contactless technologies such as RFID, NFC and Zigbee are becoming more main stream as ways of collecting and interacting with data. There are a lot of concurrent changes happening right now and any one of these could yield substantial opportunities. However I think the dominant force right now is customer feedback into mobile apps and the emergence of professional, enterprise mobility. FSN: You also offer a range of in vehicle solutions… driver safety is a major concern for the field service industry currently, do you think dashboard mounted devices can potentially distract a driver and cause accidents? ID: This is actually solved pretty quickly and easily - screen blanking technology exists to ensure that a driver cannot be distracted by a docked unit while the vehicle is moving. Likewise the technology is clever enough that should the same mounted device be needed to be operated by a front passenger and is swung away from the driver, full access to the device can be obtained maximising ‘appropriate’ productivity whilst mobile. These are critical concerns as safety will always trump productivity. At present we are seeing a lot of innovation in this area coming from the Field Service and EMS sectors specifically and we have learnt a great deal so far. FSN: You personally have been involved in this industry for about a decade – what is the biggest difference between when you started in the industry and today? ID: When I first started, enterprise customers would gladly spend several thousands of pounds per device for then, leading edge technology capable of and designed to do single and often simple, but important tasks. Adoption by users though was challenging. Limited computer skills amongst users meant the technology was reluctantly used in many cases, and required significant investment in training as part of the overall project. Today devices can do so many things and have so many technologies built in to them that you might think there would be greater reluctance to overcome, but probably the biggest difference now compared to 10 years ago is the rapid adoption of the technology by the users. Personal IT knowledge honed from using technology at home or in their smartphone on a daily basis not only helps them embrace the technology changes their employers are adopting but they are continually pushing their employers to adopt new technologies to improve efficiencies and productivity like never before. FSN: You have worked with a number of leading hardware providers to the field service industries, including Motorala, Intermec, Honeywell. What was it that drew you to Motion Computing and what sets them apart from their competitors? ID: Traditionally, the technology I had been involved with prior to joining Motion was very application specific. 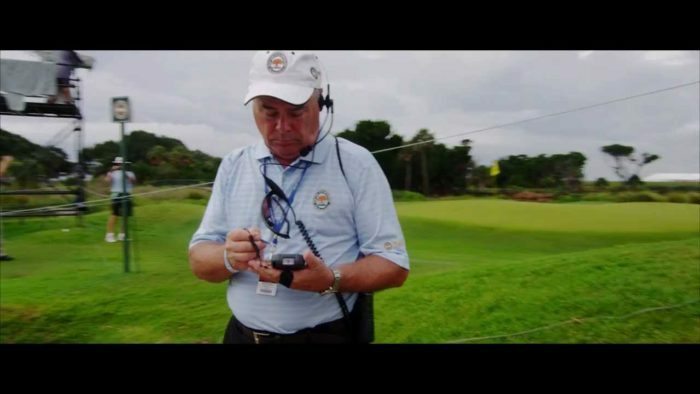 With the adoption of Tablet technology in the consumer space and the desire for organisations to do more with a mobile device, the opportunity in this ‘new’ wave of point of activity computing was a huge attraction for me. I say ‘new’, but for nearly 13 years Motion has been leading the development in computing for users who were standing or walking, so I was confident they had something good going on! The piece that really made sense to me though was the range of peripherals that Motion brings to the table to specifically suit the Enterprise Field user’s workflow. To use one of my colleague’s phrases, “it’s not all about the tablet”, and that is where Motion excels. From a hardware perspective, charging, mounting, carrying and storing mobile devices is key to user adoption, and corporate responsibility for the vehicle based mobile user is an ever increasing requirement that Motion has really stepped up to. 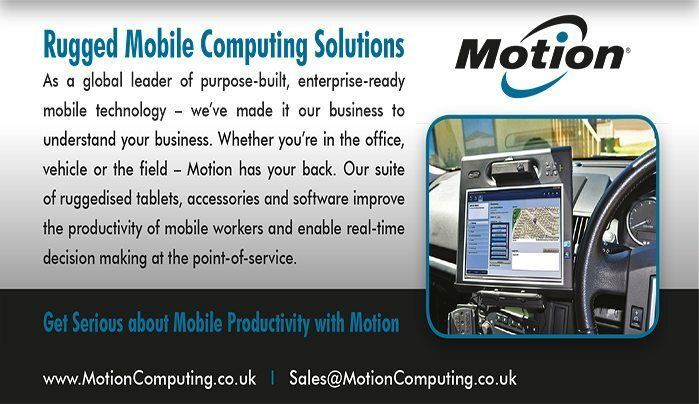 Providing complete hardware solutions that truly offer point of activity computing sets Motion apart. The Getac Z710 Android 4.1 rugged tablet has been officially certified by AirWatch – a global leader and innovator in mobile security and the largest Enterprise Mobility Management (EMM) provider – for compatibility with its Mobile Device Management (MDM) software. 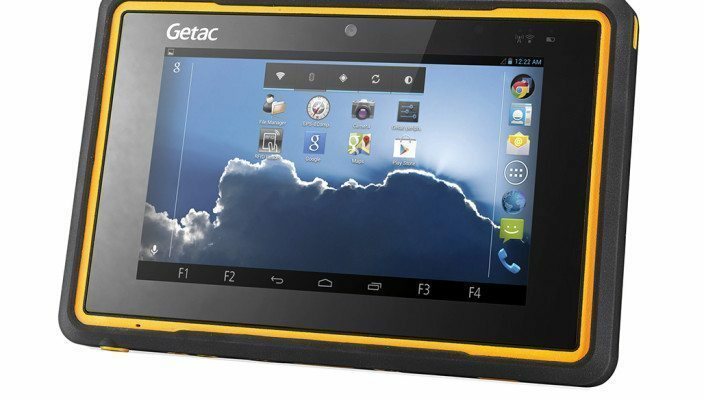 The assessment of Getac’s Z710 fully rugged tablet completed by AirWatch's quality assurance department included ensuring the device was able to fully handle asset tracking, commands, profile configuration, application management, Secure Content Locker™, AirWatch Browser and push services. The accreditation confirms that Getac’s tablet solution can be managed successfully by a systems administrator using the AirWatch platform. 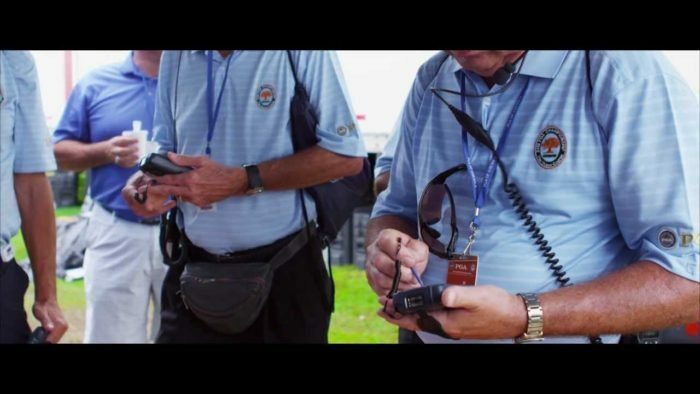 In the first of this two-part series, learn how the Professional Golfers' Association (PGA) deployed the Intermec CN50 and Intermec CK71 rugged mobile computers with the help of Scan Read Technologies to boost data capture capabilities at high stakes tournaments. As a result, they expect an excess of $3 million in savings by 2016.